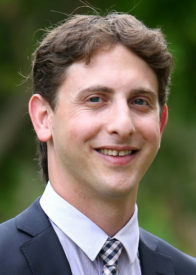 Ziv Rubin is a visiting researcher whose research focuses on the impact of immigration and foreign direct investment, on the Canadian and Israeli housing market. Ziv has a PhD in Geography from the Hebrew University, Jerusalem and a BA in Economics and Geography from Tel Aviv University. His PhD, set in the context of the Israeli “Housing Crisis”, explored the major policy constraints on housing supply in Israel, focusing on centralized government land control, district level planning and municipality fiscal condition. In parallel with his studies, Ziv was involved in policy-oriented research in two prominent Israeli think tanks, working on socio-economic, housing market, urban and regional development and national and local fiscal issues. Rubin Z. and Felsenstein D. (2017) “Supply Side Constraints in the Israeli Housing Market – The Impact of State Owned Land”, Land Use Policy, 65, 266-267. Beenstock M., Felsenstein D. and Rubin Z. (2017) “Does Foreign Direct Investment Polarize Regional Inequality? Some Evidence from Israel”, Letters in Spatial and Resource Sciences, 10(3), 385-409. Beenstock M., Felsenstein D. and Rubin Z. (2015) “Immigration to the European Union from its European Neighborhood: Multilateral and Spatial Testing of Welfare-Chasing and Related Hypotheses”, International Journal of Manpower, 36 (4), 491-517. Beenstock M., Felsenstein D. and Rubin Z. (2015) “Visa waivers, multilateral resistance and international tourism: some evidence from Israel”, Letters in Spatial and Resource Sciences, 8(3), 357-371.